Evaluations and test firing of various types of firearms. Performs moderately complex and complex analysis of submitted firearms and firearms related evidence that may include hazardous biological and chemical substances. Performs serial number restorations (firearms). Performs gunshot residue / distance determination examinations. Issues reports accurately reflecting the results of examinations. 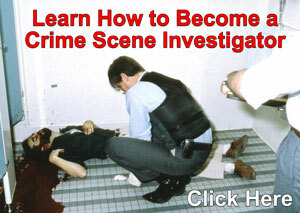 Provides expert testimony in the discipline of Firearms Identification. Participates in the Firearms Examiner Call-Out rotation. Conducts reviews of other examiners' cases (administrative and technical). Enters specimens into the Integrated Ballistics Identification System (IBIS), reviews correlation results, and verify possible leads. Participates in the training of new examiners. Provides technical assistance to police officers, the District Attorney's Office and other law enforcement personnel. May lead and monitor technical and support personnel, work assignments and job performances. Routine External Contacts: Law enforcement, prosecutors, defense attorneys, educators and peers during professional training or participation in accreditation or certification visits. Bachelors of Science degree (or equivalent) from an accredited institution with a major in the natural sciences (e.g. Biology, Chemistry, Physics) or Forensic Science. Has successfully completed a training program that adheres to the Association of Firearm and Toolmark Examiners training manual in addition to requisite proficiency in microscopic examinations or by training of similar structure at another laboratory. Has completed a firearms training program and a period of supervised casework. Proficiency in Firearms Identification microscopic examinations and procedures. Computer literacy in the use of Microsoft Office applications (Word, Excel, and PowerPoint). Good communication skills for frequent testimony and participation in accreditation reviews and symposia/seminars. Familiarity with accreditation standards and requirements of ANSI - ASQ National Accreditation Board (ANAB) program and ISO 17025:2017. Ability to safely test fire all types of firearms on a routine basis. Maintain a valid Texas driver's license and the ability to safely operate a motor vehicle. AFTE certification must be obtained within two (2) years of hire. 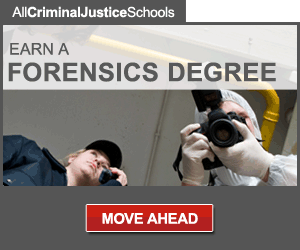 Forensic Analyst Licensure by the Texas Forensic Science Commission will be required; licensure must be maintained for the duration of the employment. Ability to work for extended periods of time while seated at a comparison microscope. Ability to work for extended periods of time at a personal computer. Ability to work for extended periods of time at any hour during Firearm Examiner Call-Out. Physical activities include, but are not limited to, standing, walking, running, talking, and hearing. Ability to lift moderately heavy items up to 50 lbs. Two years of experience after completion of training and supervised casework. Proficient in Firearms Identification microscopic examinations and procedures. AFTE certification in Firearms Examination procedures. Ability to understand and use statistics as they apply or will apply to firearms examinations and comparisons.